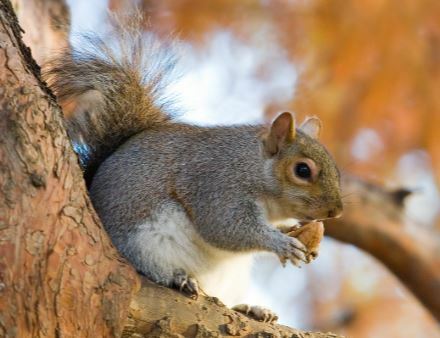 Squirrels are a common pest problem here in Walnut Creek because of the perfect environments that the beautiful homes and businesses are able to provide for these rodents who become a very noticeable problem once they make their presence known. Squirrels will try and create nests in the stable environements of the properties of humans all over. In trying to intrude, squirrels will chew through just about anything to get their nests created. They chew through wiring and even wood with their strong teeth and jaws. Not only that problem, but in making their nests, they will bring foliage onto properties as well as leaving their feces and urine wherever they please which could be a real sanitary problem for people. To help stop squirrel problems in Walnut Creek, our pest control crew will install steel mesh barriers that will prevent squirrels from entering onto the premises, as well as allow a one way exit point so that the squirrels that take a little while to leave will not be able to get back in once they do. If you want efficient, and cost friendly squirrel removal for your squirrel issues on your property, we help both commercial properties and homeowners deal with their squirrel problems. Depending on where the squirrel problem lies, we may have to take different types of measures to fully get rid of the squirrels, and we can also provide repairs for the damages that the squirrels do cause on the property. 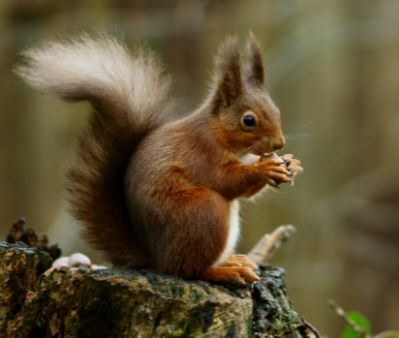 Common places that we have come across for where people need us to help remove the squirrels will actually often lie inside the homes of people. While squirrels will often climb trees and fences in residential neighborhoods, this gives them them a height advantage that allows them to scope the property for easy access to wherever they want to grow. You may have seen a squirrel scale a tree near a home and hop onto the roof. If there is an access point on our home, this may mean that there could be squirrels in your attic, squirrels in your garage, or some other place inside your home. Squirrels appreciate the safety that the inside of a home provides them because it keeps them away from their natural predators and gives them a safe environment to build a nest and reproduce.